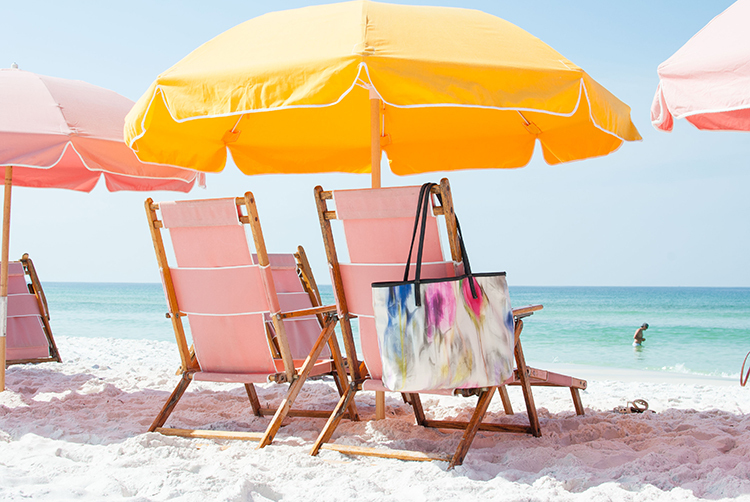 While we were planning for our Sandestin beach trip, I found Veeshee‘s bright and vibrant customizable tote bags. They’ve developed a brilliant build-your-own bag process that includes picking out your favorite fabric for both the outside and inside, leather selections in multiple colors as well as the option of adding a monogram. If you guys might have already noticed, I love some color, so I selected the watercolor pattern fabric with black leather detailing for my tote. And then lo and behold, I matched the chairs and umbrellas when we got down to the beach – totally didn’t plan this, but I mean it worked out perfectly for today’s photos right? See more of my beach day outfit that I coordinated with my custom Veeshee tote bag in today’s full post + learn more about how you can make your own bag on the Veeshee website! I also want to mention that Veeshee offers more than just tote option, they also carry a range of bags that include cosmetic bags, accessory bags, tablet cases, and even weekender bags. I was also super impressed at all the detail images that they provide you so that you know exactly what your bag will look like before you press the order button! ps. You might remember this same romper from my spring post with Simple Skincare! The make-your-own-bag idea is great and yours is beautiful! Also love your heart shaped sunnies a lot!! This beach bag is perfect! It's so cool that you could customize it! 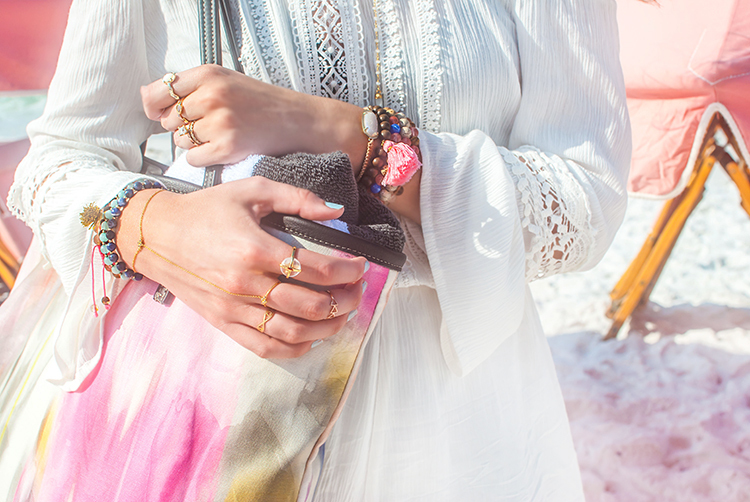 You're hair looks so beautiful in this post, and I love your jewelry!